Bring up the topic of “repeated accompaniment figures” and your piano students are likely to fall asleep on the keys. But bring out The Pop Waltz Prophecy… and they’ll be so excited they may never sleep again! The Pop Waltz Prophecy explores four of the most common left-hand accompaniment figures encountered by young piano students: Alberti bass, waltz pattern, polka and broken arpeggiated chords. But this is not your typical book of classical repertoire. Instead, the sounds of the classics are blended with the pop sounds of today, melding old with new. The result is captivating, modern music that focuses strongly on repeated left-hand accompaniment figures. Click here to preview sample pages from The Pop Waltz Propehcy. If you like what you see, click the Buy Now button below to get your copy today. It’s the year 2021 and the abandoned Cartelli Music Library has been burned to the ground; the world’s last remaining collection of classical music has been lost. While wandering among the charred remains of the library, Alyssa MacGregor, the granddaughter of the library’s last curator, discovers an unscathed manuscript. Scrawled on the inside cover of the manuscript are the words: A Concert of Revival, May 4, 2028, Brunner Hall. Slipping it into her overcoat, Alyssa carries the manuscript home and locks it away. Seven years after the destruction of the Cartelli Music Library, Alyssa hears a haunting sound coming from the locked chest in the corner of her room. Inside is the mysterious manuscript, the world’s last piece of classical music, hidden away long ago. The leaders of the Cadence Revolution, who claimed responsibility for the Cartelli Music Library’s demise, are using the destruction of classical music to bring chaos to the world. The mysterious concert date scrawled on the inside cover of Alyssa’s manuscript is now only 13 days away, and the mystery of it consumes her. Is it her own concert date? Is it her prophecy? Has she been chosen to return classical music to the present, to destroy the Cadence Revolution, and to restore order to the world? And if so, how is she supposed to perform the forbidden music of the manuscript under the Revolution’s watchful eye? Armed with her time-bending manuscript, Alyssa seeks the guidance of the classical masters to compose music that masks the forbidden sounds of her manuscript with the permitted pop sounds of the Cadence Revolution. Can she deliver a performance to save the world? 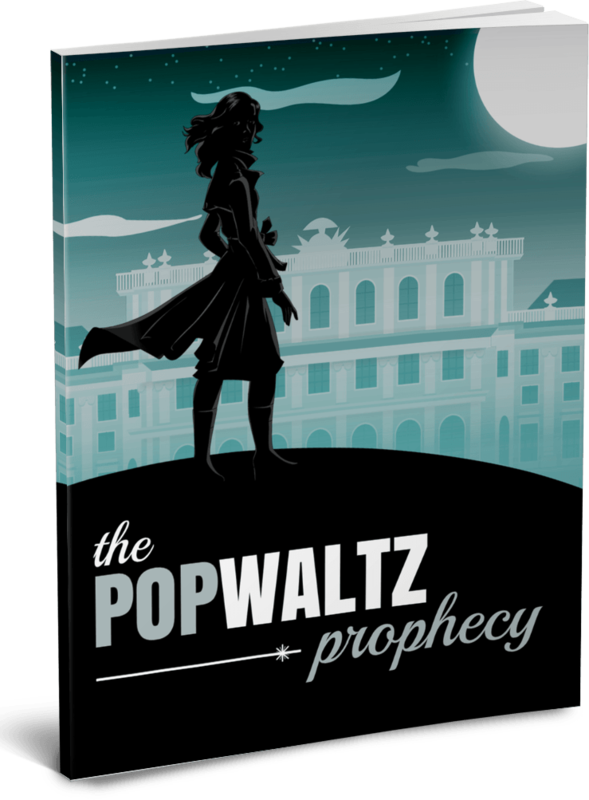 Experience the music of The Pop Waltz Prophecy today!